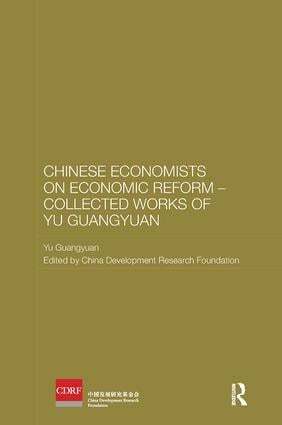 Yu Guangyuan (1915-) is a famous Chinese philosopher and economist. A member of the Chinese Communist Party from 1937, he has made significant contributions in the fields of Marxist theory and in state planning. He was head of the Political Research Office of the State Council from 1975 and the first director of the Economic Research Institute of the State Planning Commission. He has held many other important posts, and was editor-in-chief of the "Dictionary of Economics".